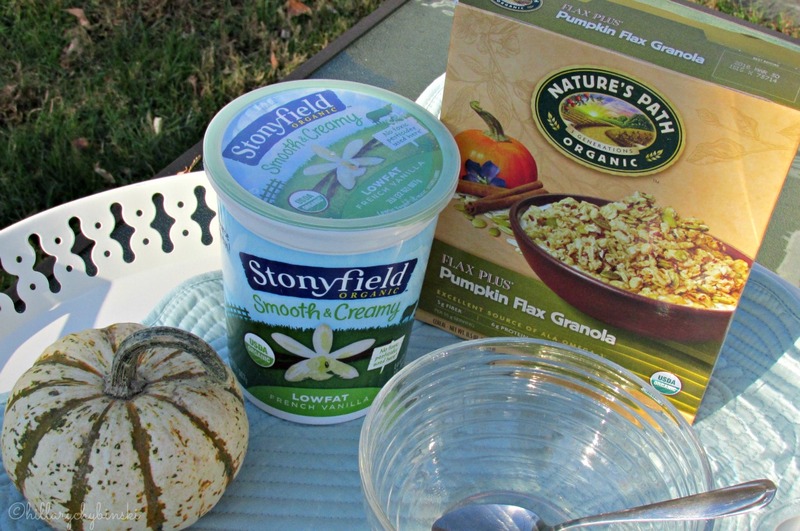 This is a sponsored post in partnership with Stonyfield and Nature's Path. I am not a breakfast person . . .unless you count coffee. Then I am most certainly a 2-cup kind of breakfast person. 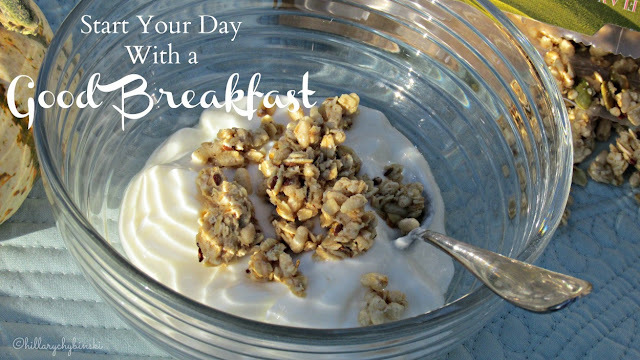 I know it is better for your overall health to eat a healthy breakfast each morning. But just because we know something to be true, doesn't mean we follow the advice - right? Guilty as charged. So while I make sure my family doesn't head off to work and school without something nutritious in they tummies, I settle down at my desk after some coffee, and attempt to work. Some days go better than others. According to WebMD, breakfast is linked to many health benefits, including weight control and improved performance. Now who doesn't need those two benefits to start your day off on the right foot? Breakfast doesn't have to be difficult. These days there are a variety of options out there that can make having a good breakfast quick and easy. Yogurt, cereal, oatmeal, and eggs all come to mind. Save the french toast and eggs Benedict for the weekend! How about mixing your favorite yogurt with some yummy cereal? My favorite yogurt is the Stonyfield French Vanilla. It goes with everything and tastes like I'm having a treat rather than a meal. 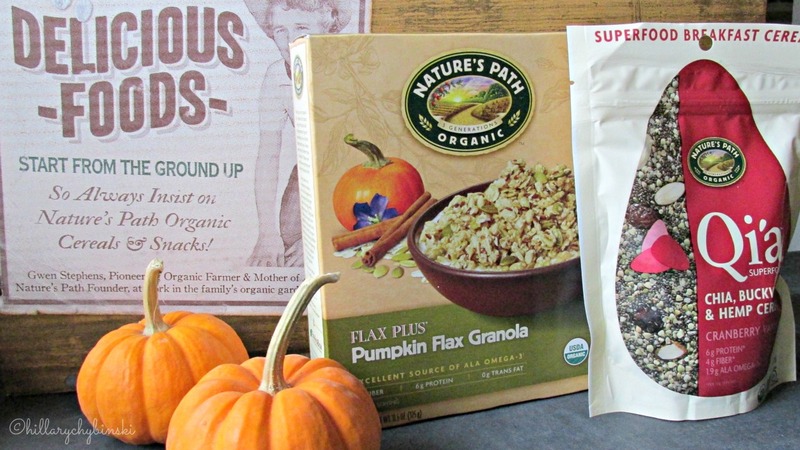 I tried sprinkling some of this yummy Pumpkin Flax Granola from Nature's Path Organic on top, for some crunch and to add depth to the flavor. It was fantastic! It's also a great way to get more Omega-3 fatty acids in my diet. I'm not a huge oatmeal fan . . .I do like "real" homemade oatmeal, with a touch of butter and brown sugar (shhhh). 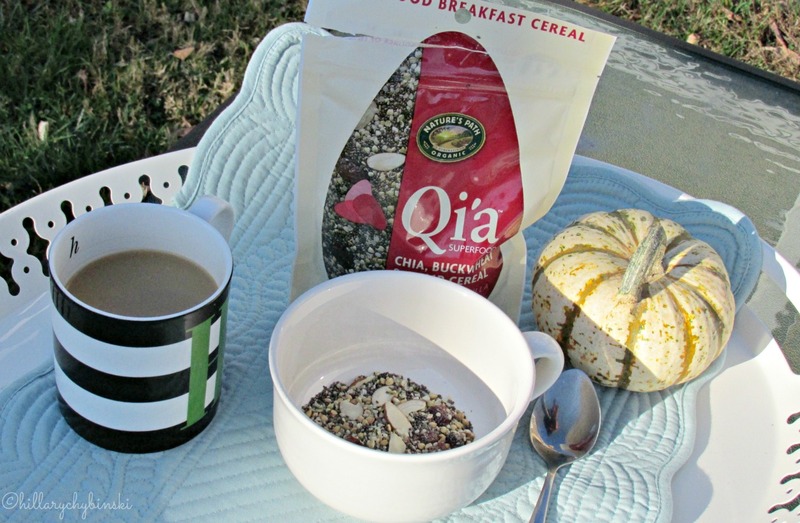 I tried this Qi'a (pronounced "key-ah"), which is a chia, buckwheat and hemp cereal. The package directions advise you to mix 2 tablespoons of the cereal with 4-5 tablespoons of milk. This cereal also contained cranberries and almonds and was terrific all alone. You could definitely punch up your breakfast by adding a spoonful of that yummy Stonyfield French Vanilla to the top though! So breakfast doesn't have to be hard, and it can certainly be delicious! I am making a vow to try harder to eat breakfast every day, especially with these yummy choices in my refrigerator and pantry. I'm a big fan of yogurt and granola in the morning. Sometimes, if we're having a relaxed morning (ha! It's a rarity! ), I'll make myself an omelette instead. But I love the convenience of yogurt and granola, and that's usually my go-to in the mornings, with a piece of fruit, if we have any handy. I usually eat granola with unsweetened coconut milk. I can't have yogurt (lactose intolerant), but occasionally have soy or coconut yogurt.